2015 has kept Ambassadeurs busy with a slew of EPs and his debut album, ‘Patterns’, which was released on his own Lost Tribe Records imprint. Now back in the studio recording his second album, he is dropping Halos in the interim to keep fans of his sound happy. The EP was written during an escape in the autumn from the city to the countryside. The change of scenery from concrete to wilderness is reflected in the more organic sounds on the EP and was written with the bare minimum of equipment. A simpler and more stripped back approach was adopted even sampling some old cassettes that were left behind in the cottage where he was staying. The EP explores a more 4/4 sound than his debut album while still retaining the aesthetic of Ambassadeurs’ productions. It’s a formula he’s been exploring with great success of late with his recent ephemerals remix hitting Number 1 on the Beatport electronica chart and a new remix for Ninja Tune signing Autograf about to drop. His widescreen sound spans bass heavy, ethereal electronica, through to dark ambient moments, and shimmering, melodic techno. Taking cues from dub, hip-hop, bass and jazz, his style can be attributed to a Tobin-like love for turning found sounds into samples and processing them beyond recognition – creating music as unique as his talent. In addition to his own releases, his stock has been rising in the remix market with his production skills being noticed and used by record labels including Tru Thoughts, Ninja Tune, Moshi Moshi, Fat Cat, Wah Wah 45s, Universal and Rough Trade. Despite this schedule he has still continued his policy of shipping regular free releases of music for his fans via social media which has seen his fan base grow to over 35,000 followers and exceed seven million plays on SoundCloud alone. This continued stream of releases has won him strong DJ support in particular from BBC Radio 1, in addition to online press support. He has also built up his live reputation, winning support slots across North America and Europe with the likes of ODESZA, Machinedrum, Gas Lamp Killer, Danny Brown, Gold Panda, Daedelus and Kelpe with a show that marries his leftfield sound with surrealist videography. The apparent success of these shows led to a 15 date co-headline tour of North America in 2015 with Daktyl (Mad Decent) and festival slots at Hard Day Of The Dead, Brooklyn Electronic Music Festival and The Sound You Need Festival. Ambassadeurs (aka Mark Dobson) started out learning his craft on an 8-bit Amiga computer. After the requisite teenage years in psychedelic rock bands, he upgraded to Logic and began working with electronic instruments, getting inside the machinery to make them sound the way he wanted. After signing 2 EPs with Pilot Records he now heads up his own label - Lost Tribe Records through which he releases his own work as well as those from other electronic artists. 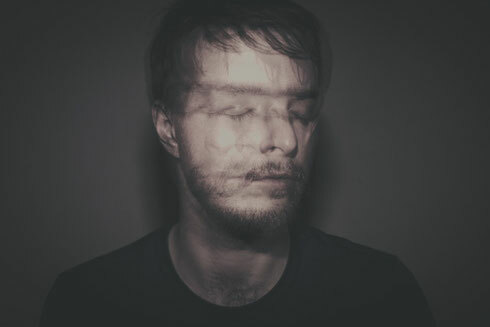 Ambassadeurs will be releasing his second album in summer 2016.